Ascendas REIT’s 1QFY19 DPU of 4 Scts, in line, accounting for 24% of our FY3/19 forecast. Portfolio occupancy saw a slight dip but rental reversions were positive. New AEI at 138 Depot Rd; 41 Changi South Ave 2 divested. Maiden venture into UK via purchase of 12 properties for S$373m. Maintain ADD with unchanged Target Price of S$2.89. 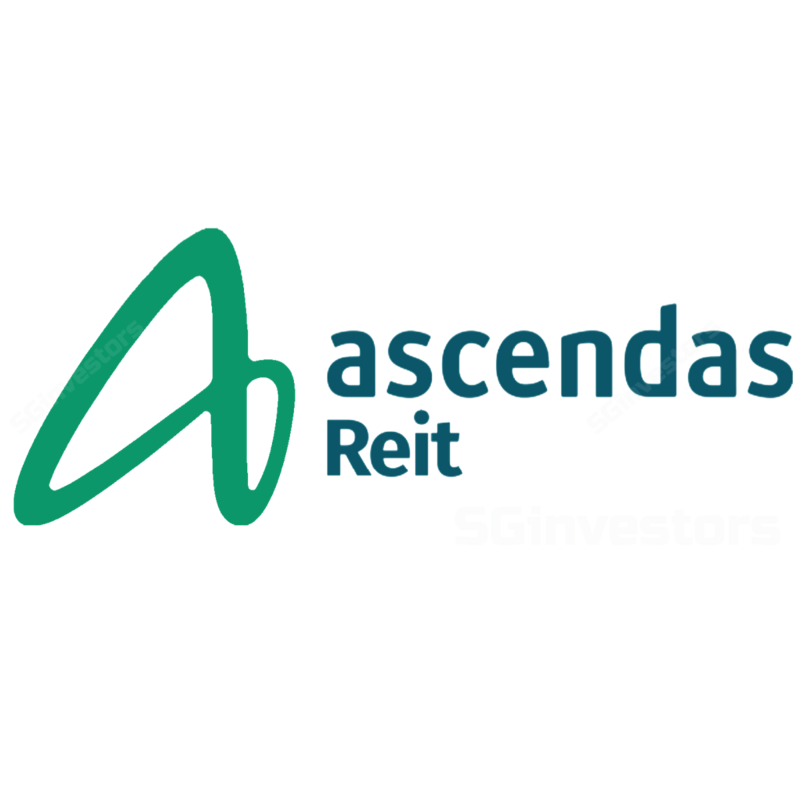 Ascendas REIT’s 1QFY3/19 revenue grew 1.5% y-o-y due to the acquisition of three Australian properties, completion of 50 Kallang Ave and 20 Tuas Ave 1 redevelopment, 10 Woodlands Link,13 International Business Park and 84 Genting Lane as well as positive rental reversion. However, 1Q DPU of 4 Scts is 1% lower y-o-y due to a one-off distribution of rollover adjustments in 1QFY18. Excluding this, DPU would have improved 4% y-o-y, accounting for 24% of our FY19 forecast. In 1QFY19, Moody’s upgraded Ascendas REIT’s credit rating outlook to A3 positive (from A3 stable). Ascendas REIT’s overall portfolio occupancy dipped 1% pt q-o-q to 90.5% due to lower Singapore portfolio occupancy of 88.1% with the inclusion of the newly redeveloped 20 Tuas Ave 1, which was only 51.1% leased at end-1Q. The property has since seen an additional 40% pre- committed. There was also some non-renewals at SB Building (21.4% leased) and 31 International Business Park (56.4% occupied). Meanwhile, its Australian portfolio occupancy improved slightly q-o-q to 98.6%. Ascendas REIT saw positive 10.5% rental reversion during the quarter due to strong performance at its high-specs properties (+24.8%), and business and science parks (+5.6%), albeit partially offset by the -6.1% reversion for its logistics & distribution centres. There were no Australia leases expiring in 1Q. Management guided that overall rental reversion is expected to see a slight improvement in FY19. The trust has a further 9.3% of gross rental income to be re-contracted for the remainder of FY19 and a further 19.7% in FY20. The bulk of the FY19 expiries are from Singapore multi-tenanted buildings (MTBs). Ascendas REIT announced a new asset enhancement initiative (AEI) for 138 Depot Rd in 1QFY19 worth 3.9m, bringing total AEIs to S$26.1m. These three initiatives are slated for completion from 2HFY19 onwards. The trust has also announced the acquisition of Ferntree Gully Drive in Melbourne and 1-7 Goss Drive in Brisbane for a total of A$47.2m, and the divestment of 41 Changi South Ave 2 for S$13.6m. In addition, Ascendas REIT recently announced its maiden acquisition of 12 logistics properties in the UK for S$373.2m or at an initial property yield of 5.32%. The trust looks to deepen its presence in the UK. Ascendas REIT’s balance sheet remains robust, with gearing of 35.7% as at end 1QFY19; 72.4% of its borrowings on fixed rates. Average debt maturity is 3.4 years and weighted all-in cost of debt is at 2.9%. This puts the trust in a good position to continue exploring more potential acquisition opportunities. We leave our FY19-21 DPU estimates unchanged and maintain our DDM-based Target Price of S$2.89, including accretion from the new UK acquisitions. We continue to like Ascendas REIT for its size and stability. Re-rating catalyst could come from more inorganic growth potential while slower-than-expected rental recovery is a key downside risk.